Lindy shares visionary concepts about Integrative Medicine during her engaging presentations. 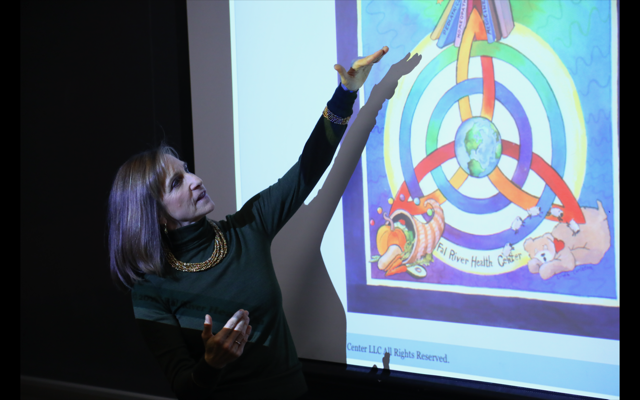 Through the metaphor of a mandala, she illustrates a circular pattern that exposes the interconnectedness of nutrition, sleep hygiene, and the imponderable influence of screens on our wellbeing. 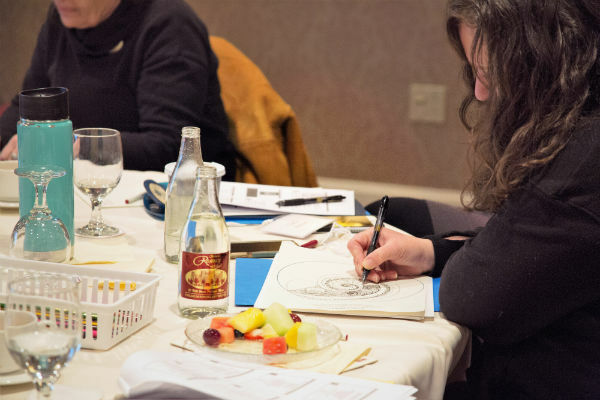 Participants learn strategies to decode medical paradigms and allay stress to promote health and prosperity. Presentations range from 90 minutes to a full-day course. Information is drawn from scientific research, evidence-based practice, and clinical experience. 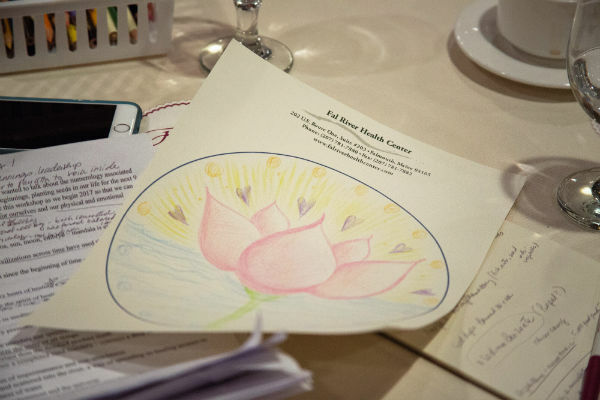 Lindy guides interactive components, during which attendees are offered the opportunity to create a personal health mandala and engage in mindfulness based practices. Speaking engagements are customized to capture the topic interest of the audience. Presentations can be hosted locally, out of state, internationally, or online. If you are interested in having Lindy present at your program, or have inquiries, please contact us. Through a multidisciplinary approach, participants will gain knowledge and skills to support children in their quest to become successful learners. Information will be drawn from scientific research and evidence based practice in Integrative Medicine and Occupational Therapy. Teachings will be focused on self-management, self-regulation, and mindfulness to achieve improved health, happiness, and a well-balanced lifestyle. The imponderable influence from screens has changed the course of human history, including our health. Scientific research has proven that our genomes are triggered by direct exposure to energy that eludes the five senses. Learn about the exponential effect of technology as well as informed strategies to navigate daily life and attain mind-body wholeness. Health paradigms are continually evolving and can be difficult to interpret. Establish an understanding of the interconnectedness of brain-gut-health, sleep architecture, and environmental influences on epigenetics. Explore lifestyle modifications to actualize optimal abundance and successfulness. Proper nutrition, quality sleep hygiene and discerning use of screens are the foundational keynotes of a successful learner. Master knowledge to gain health, confidence and competence at home, school and the greater world at large. Screens & Your Genes; Imponderable Effects of the Environment. Innsaei- A Mandala of Integrative Health. Healing the Healers: An International Conference for Integrative Modalities. Myvatn, Iceland. October 2017. Pendulum Paradigm of Integrative Health. The Opportunity Alliance, Therapeutic Foster Parent Day Celebration; Portland, ME, May, 2017. Eat Well, Sleep Well, Learn Well: How Food, Sleep, and Screen Time Affect Attention, Memory and Executive Function. University of Southern Maine, Portland, ME, April, 2017. A Mandala of Pediatric Integrative Medicine: Pendulum Paradigms of Health and Healing in ASD. Southern Maine Autism Society, Portland, ME, March, 2017. A Mandala of Integrative Health: A Creative Approach in Clinical Practice Transdisciplinary Workshops, Portland, ME, March, 2017. A Mandala of Integrative Medicine: Pendulum Paradigms of Health. Healing the Healers: An International Conference for Integrative Modalities; Murphy, CA, September, 2016. Pendulum Paradigms of Integrative Medicine. Maine Medical Center, Department of Family and Integrative Medicine; Portland, ME, September, 2016. Eat, Sleep, and Learn: A Mandala of Integrative Health. 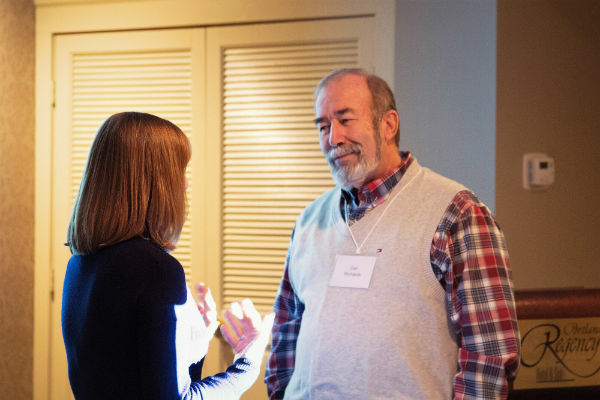 Brain Injury Association: 6th Annual Conference on Defining Moments in Brain Injury; Portland, ME, October, 2015. A Mandala of Integrative Medicine: Pendulum Paradigms of Health. The Icelandic Dialogues: An international multidisciplinary, multicultural conference; Reykjavik, Iceland, October, 2015. Enhancing Self-Regulation: Cutting Edge Research and Best Practice Strategies in Supporting Kids with ADHD, Executive Dysfunction, and Autism. Kaufman Psychological Services, Augusta, ME, December, 2015. Eat, Sleep, and Learn: A Mandala of Pediatric Health. 52nd Annual International Learning Disability Conference, Chicago, IL, February, 2015. Eat, Sleep, and Learn: A Mandala of Pediatric Integrative Medicine. Harris Therapy Clinic, Honolulu, HI, March, 2014.